Encouraging your child to read and write regularly is a great first step to get them to work on their spelling skills. As they do these activities, they'll be sharpening a few of their academic skills, including spelling, in a passive and active manner. You should also ensure that your child has a dictionary with them, and that they know how to employ it correctly. If they have one nearby, they'll be able to double-check a word's spelling, as well as find out its meaning and increase their vocabulary. Making use of mnemonic devices, such as creative rhymes and songs, can also be of assistance in your child's journey to becoming a stronger speller. This is because, with them, they'll be able to retain and recall spelling rules much more easily. You may also want to tell your child to have a spelling log. This is where they can take note of the words that are most challenging for them to spell. Moreover, they can use it to practice them and learn how to spell them correctly. Finally, you can make learning to spell fun with the help of games. Your child has a few options available to them (e.g. 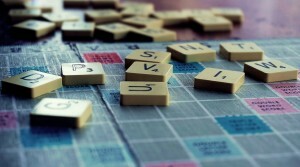 crossword puzzles, apps, and even Scrabble) to develop their spelling skills further in an entertaining way. Reach out to The Tutoring Center, League City TX to enroll your child in summer tutoring in League City TX that will help them improve their spelling. Call (281) 337-2800 to schedule a free diagnostic assessment.